The second AFL Colombia season has already produced surprising results, with inaugural flag winner, the DC Aguilas, already slipping behinds the other teams and at risk of being unable to defend their title from earlier in the year. President of AFL Colombia, Paddy Smallwood, looks at the last two matches. The second instalment of the AFL Colombia competition got under way last weekend. 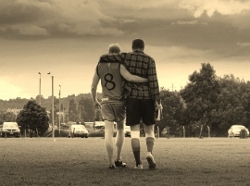 Just weeks after the DC Aguilas held aloft the inaugural premiership, teams returned to the playing field in Bogota for the second “season” for the year. Paddy Smallwood from AFL Colombia sent the following report after the Agulias took on the Bullants. Much has been made in 2018 of the rapid rise of the Bogota Bulldogs and the new AFL Colombia competition. But the longest serving Australian Football team in South America, the Santiago Saints, have been preparing quietly, away from the limelight down in Chile. The Saints have been the mainstay of the game, so many miles from the MCG, and would see the rise of the Bulldogs as a double-edged sword. On the one hand, they now have the Bulldogs for genuine international footy to be played. But also, the Bulldogs have entered the Saints' turf and must be thwarted. Here is a small clip from the Santiago Saints showing a small glimpse of the team getting ready for battle next month against the Bulldogs. 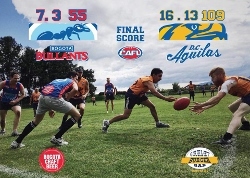 It seems like just a few weeks ago when the DC Aguilas defeated the Bogota Bullants to win the inaugural AFL Colombia premiership. In fact, it was. However, the format for the first season of competition in Colombia sees two mini seasons within the one calendar year, and part two is about to get under way. 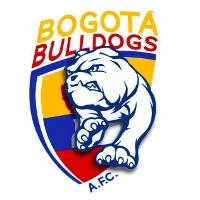 The competitions in Colombia are very heavily built around the growth of the national team – the Bogota Bulldogs. The first season (completed just a month ago) saw the drafting of local and ex-pat talent to the three local clubs (Aguilas, Bullants and Bombers) to form a national competition where players could develop and the best would be selected to represent the nation in the Bogota Bulldogs team. The Bulldogs will fight to retain The Andes Cup against the Santiago Saints from Chile mid-way through this next season. There is also the chance to play in an 18 per side match at season’s end and possibly play in another yet to be defined international match, so performances across this second AFL Colombia season will be important. The history books will forever show that the DC Aguilas became the first ever AFL Colombia champions after their 15-point victory over the Bogota Bullants. A year ago, this competition did not exist, yet now it boasts a champion team after a hugely successful first season. The inaugural season of the CAFL (Colombia Australian Football League) will come to a satisfying close this weekend when the nation’s first ever Aussie Rules grand final will be played in the capital city of Bogota. It will bring to an end a season were Aussie expats have blended beautifully with local Colombian talent to see the rise of the game in South America that only a couple of years ago was a dream. The match will feature the Bogota Bullants up against the DC Aguilas. The Bogota Bombers missed out on reaching the big day, yet remained a highly competitive third team, even downing the Bullants along the way. AFL Colombia president, Paddy Smallwood, previews the match. It doesn’t happen often, but the Bogota Bombers have set a few AFL Colombia records last weekend as they kept themselves firmly in the premiership race. Apart from being the highest score recorded in the very new South American competition, they also scored it being the bottom team. Add to that, the Bogota Bombers recorded a 213-point turnaround from the last time they met the Bogota Bullants. Certainly, the match has changed the status quo of the competition, bringing all three teams back into premiership calculations. Paddy Smallwood, president of AFL Colombia, provided a look at the game and its ramifications on the competition. 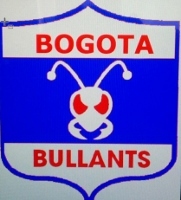 To date, the Bogota Bullants had been seen as the team to beat for the inaugural CAFL title in Colombia. But the DC Aguilas changed that yesterday with a powerful display against the previously undefeated Bullants, leading early and going on to record a powerful 54-point victory. It sets the scene for a huge finish to the season.